CPVC plumbing systems will not pit, scale or corrode in aggressive water and soil conditions, so all water purity is consistently maintained. In environments with aggressive water pH levels of less than 6.5, copper plumbing is not certified to ANSI/NSF Standard 61 for drinking water safety. Plus, copper cannot resist certain soil compositions and will begin to degrade. In these conditions, copper pipes can develop pinholes and leaks in just a few years. CPVC pipes might be the answer for your plumbing solution. Our plumbers have the experience to help aid you in decisions of what would be the most durable and cost efficient piping for all of your plumbing needs. Get in touch, for a quick estimate for your CPVC piping installation, replacement, or repair services! Call Perry Aire Plumbing at 703-521-2228 for CPVC piping installation and repair services in Arlington Virginia, Washington DC and Maryland! 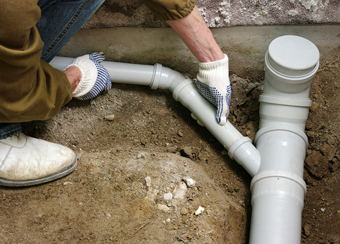 Why should you call Perry Aire Plumbing for CPVC piping installation services?